That's according to IBM CEO Ginni Rometty, as outlined during her opening address to attendees at the annual Think conference in San Francisco. “Last year, I said data was the basis of a competitive advantage and in this first phase of what we’ve done together, you can characterise it by digital, artificial intelligence (AI), lots of experimentation and customer facing apps on public cloud," Rometty said. "That’s what has been driving the cloud. We’re all standing at the beginning of chapter two of this digital reinvention, which in my mind, is enterprise driven. “It’s about digital and AI, which is now about scaling, and when it comes to cloud - it’s hybrid - driven by mission critical apps, but underpinning it is trust and responsible stewardship." Rometty revealed that Big Blue currently had over 20,000 engagements with AI, with customer service being the most popular use case, followed by human resources (HR). The technology leader expressed the lessons learned in what it will take to scale digital and AI - dedicated to the approach taken, the business platform to bring it together, an AI platform to help track its lifecycle and information architecture (IA). 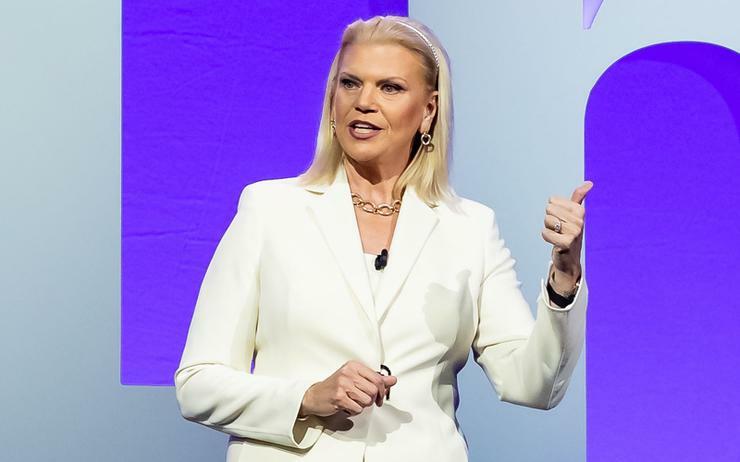 Rometty also pointed out how AI was developing in three ways - core AI, trusted AI and scalable AI; and alluded to the 'open' future of containers and Kubernetes, along with micro services. Meanwhile, Red Hat CEO Jim Whitehurst joined Rometty and outlined the benefits that customers can expect to see from IBM's impending US$34 billion acquisition. “Our customers really like Red Hat, we help them co-create some great solutions, but we don’t understand their businesses very well,” Whitehurst said. "So by combining with IBM and their vertical expertise and their process in their IP stack, it is a really exciting opportunity." Rometty further expressed the seriousness in their commitment and what the two companies will be doing together in the future. On the back of this, IBM rolled out new hybrid cloud tools and services including the Cloud Integration Platform which aims to reduce time and complexity in launching new services and applications across cloud environments. The platform securely connects applications, software and services from any vendor across private and public clouds as well as on-premises systems. Furthermore, the new IBM Services for Cloud Strategy and Design offer up a set of services to advise clients on how to architect the right holistic cloud strategy from design, migration, integration, road mapping and architectural services to navigating their journey to cloud. Additionally, IBM Services for Multicloud Management, provides a single system to help enterprises simplify the management of their IT resources across multiple cloud providers and on-premises environments. Big Blue also announced that some of its Watson services will now work on rival cloud providers as it seeks to win over customers that want greater flexibility in how they store and analyse data.